No, really. Did you say something? My phone automatically warns me not to listen to music at a high volume for extended periods of time because it can “damage my hearing”. 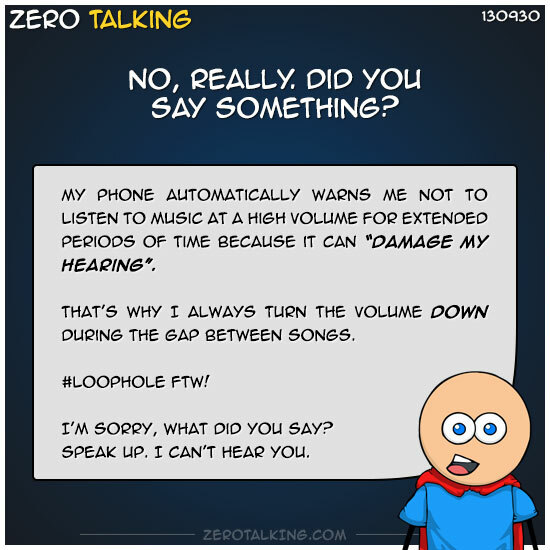 That’s why I always turn the volume down during the gap between songs. I’m sorry, what did you say? Speak up. I can’t hear you.